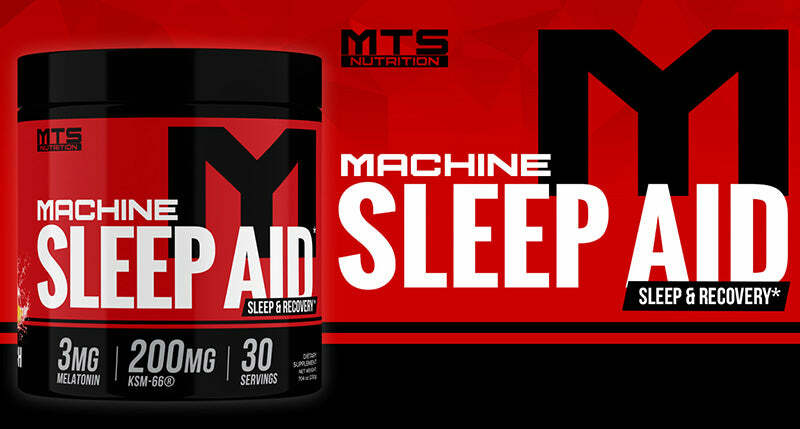 MTS Nutrition Machine Sleep Aid is the most advanced and complete product of its kind. Not only does MTS Machine Sleep Aid contain Gamma Aminobutyric Acid (GABA) which is responsible for relaxation and sleep, it also contains KSM-66®. Ashwagandha Extract (KSM-66®) works to promote a healthy response to everyday stress and fatigue and helps you feel better when you are overworked. WHAT'S IN MACHINE SLEEP AID? GABA regulates depressive and sedative actions in the human brain and is essential for relaxation. GABA is a biomechanical precursor to human growth hormone and it can aid in sleep, improve your mood, and lessen stress. KSM-66 Ashwagandha's substantiated structure/function claims for its psychological and physiological wellness benefits are in accordance with the requirements of the Dietary Supplement Health and Education Act of 1994. They are backed by several randomized, double-blind, placebo controlled human clinical trials. 5-HTP is created from an amino acid, tryptophan. This ingredient not only helps relaxion and sleep, but for those trying to lose fat, can reduce appetite. Once ingested, 5HTP gets converted to Seratonin and Melatonin, which play a role in learning, memory, appetite regulation, and sleep. Chamomile has been used for centuries for its calming properties, upset stomach relief, and sleep inducing effects. Lemon balm extract is beneficial in soothing the stomach, relaxation and restful sleep. Hops have been used for relaxation as well as for their anti-inflammatory properties. L-theanine has been used to promote relaxation, reduce stress, and improve sleep. Melatonin is a potent antioxidant, anti-inflammatory, and immune system booster and controls circadian rhythms that are responsible for your body getting into “sleep mode”. MTS Nutrition Sleep Aid contains this these essential vitamins and minerals to prevent deficiencies which could make rest and relaxation more difficult to achieve.